He first made his name as co-founder of the ultra-successful DavidsTea loose-leaf tea shops. Now David Segal, who left the company in 2016, is back with another tasty idea. Mad Radish opens its first two locations in the next few days (the Centretown location at 100-116 Albert St. opens Friday, July 14, while the Glebe location at 859 Bank St. launches Tuesday, July 25). The concept? Highly creative salads. The concept? Highly creative salads. 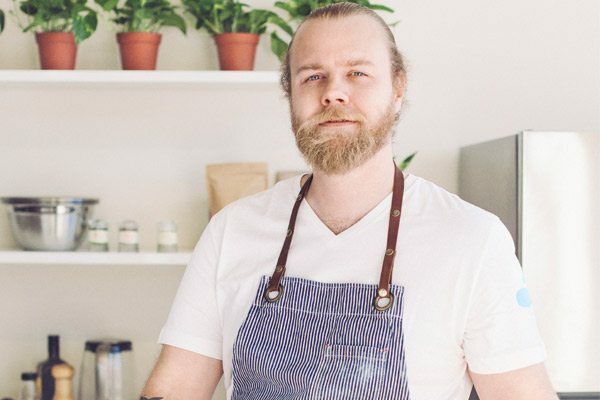 The idea, says Segal, “is to match the quality of food you get in the fine-dining world with the speed and service you get in the fast-food world.” With that in mind, the savvy entrepreneur has teamed up with executive chef Nigel Finley, who made his name in Toronto at acclaimed restaurants Catch and The Chase. Finley, who has been experimenting for months, started with 150 salads and narrowed it down to a greatest-hits menu of 10-12. 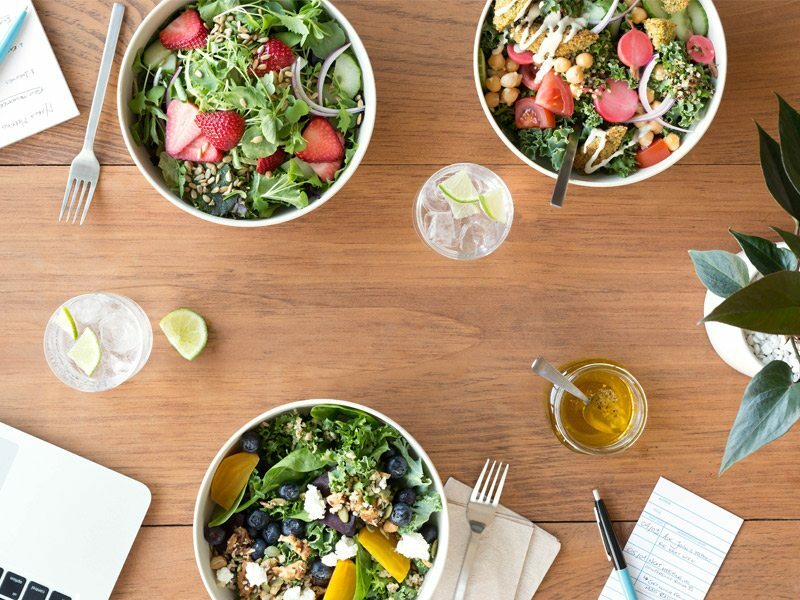 The idea is to have a core group of favourite salads on the menu and five or six that are unveiled with the seasons as Finley continues to innovate. City Bites Insider sat down with Segal and Finley for some taste-testing — and to get the backstory on Mad Radish. How did you come up with the idea for Mad Radish? Segal: I’d been travelling a lot and seen lots of different restaurant concepts in the US. I love salads and I kept lamenting that the food that’s good for you often doesn’t taste as good as it makes you feel. It sometimes feels as if eating well is like taking your medicine. Access to healthy food is one of the leading health issues of our time and yet most of the creativity in our food has gone into the dinner menu — hamburger joints, pulled pork sandwiches, that sort of thing. Mad Radish is about giving you meals that nourish you. We’re being highly creative with salads. You won’t be getting a bowl of romaine lettuce! Segal: For more than a year. Even while I was still at DavidsTea, I was thinking that Canada is about 10 years behind the US when it comes to really quality fast-casual food. We need a restaurant that will bridge the quality of food you get in the fine-dining world with the speed and service you get in the fast-food world. How did you know Chef Nigel Finley was the man for the job? Segal: His personality meshed with ours [Segal has co-founded Mad Radish with Stephanie Howarth, who worked in marketing for DavidsTea]. Nigel instantly knew what we were trying to do and shared our passion for bringing food that is good for you, makes you feel good, and can be delivered fast when you’re on the go. How did you get him to jump? Segal: It wasn’t easy! It definitely took several meetings. But he could tell we meant business and he could see that this was a unique opportunity to build a national company and build access to the food that really nourishes you. Nigel has a lot of free rein on the creativity. We want to redefine what a salad is. So the menu is chef-driven? Segal: Exactly. Most salad places are ‘choose your own adventure.’ For Mad Radish, Nigel has spent countless hours developing 10-12 salads. We will have soups and some vegan soft-serve ice cream, but the idea is to be world-class at salads. It’s 5-star food at a reasonable price and on the go. Who do you see as your market? Segal: Definitely the lunch crowd will be huge. Our first two stores are Glebe and Centretown. I think our market is very broad — anyone who wants to eat well but enjoy the food that they’re eating. We will be able to compete pricewise with the standard lunch and dinner places. How will you service the on-the-go market? Segal: We’ll leverage technology for that. You’ll be able to preorder your salads on our app and have it ready for you when you arrive. In other words, you can preorder on your phone, then grab and go. You can also eat in. We’re going cashless and trashless, so everything is compostable. We won’t be accepting cash. It speeds up the line — and you don’t have to balance at the end of the day. Segal: Gotta go with the hometown first. What better way to launch a national chain than to start in the capital? Who’s going to be the face of Mad Radish? Segal: Definitely Nigel. I don’t need to be Paul Newman on the salad dressing! Having Nigel brings tons of credibility to Mad Radish — with my business experience, Stephanie’s marketing experience, and Nigel’s expertise as a chef, we have a great team. Nigel, tell us a bit more about the inspiration for your salads. Finley: It comes from my entire career — people I’ve worked with and things I’ve seen. There’s a classic dish behind most of the salads — so they’re friendly and familiar, but totally redefined. We’re tasting three salads today, can you tell me about them? Finley: The first is called Breakfast for Dinner. This comes from phrase I used at home where we would sometimes eat blueberry pancakes for dinner — we’d call it a ‘breakfast for dinner’ night. This salad has blueberries, Quebec goat cheese, and a granola that’s very bountiful with nuts and seeds and bound with maple syrup. The savory aspect is some kale, chicory, spinach, and roasted beets, which combine to make this salad a very lunch-dinner item. My Tajine Salad is obviously inspired by the Mediterranean. We have couscous, pomegranate, nuts, and a bit of chicory and kale. Tabbouleh brightens it up and makes it feel really fresh. You can add chicken to this one. The Brassica Salad is a simple salad highlighting the brassica family — healthy cauliflower, broccoli, brussell sprouts, kale, chicory. It’s beautiful in its simplicity. I’ve added some fresh orange and pickled radishes to brighten it up. A vegan parmesan adds a cheesy, savory flavour and a broccoli puree adds creaminess. Finley: Yes, everything is dressed. The dressings are punchy and flavorful without the need to overdress the salad. 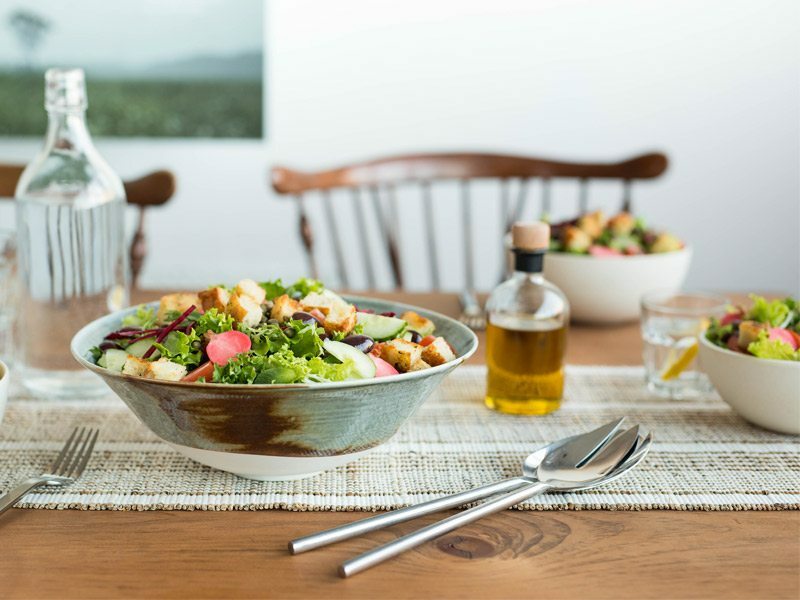 The Tagine Salad, for example, has a saffron vinaigrette, while the Brassica Salad has a simple lemon vinaigrette. Segal: We’ll change some salads with the seasons so Nigel can continue to innovate. I love the name! How did you come up with Mad Radish? Segal: We wanted to incorporate an ingredient and we wanted to incorporate the word ‘mad’ because it has that double entendre — mad reflects our passion for what we’re doing and the creativity that we’re bringing. This is salad 2.0. We no longer have to convince people that vegetables are good for you. Salad 2.0 is all about how food that is good for you has to taste good. It’s the next stage in refining our diets as a society. You obviously see a big future ahead for Mad Radish. What are your long-term plans? Our focus now is making sure Ottawa falls in love with our product and service. The rest comes after that — our success here will dictate how quickly or slowly we grow. You have to have it right. 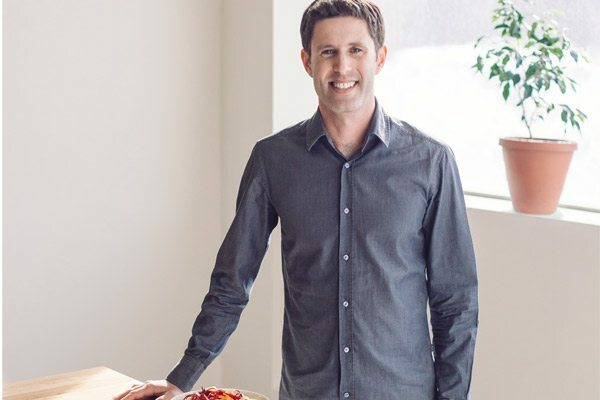 We’re making significant investments and we want to build something special that influences Canadian’s diets and really has an impact on society.